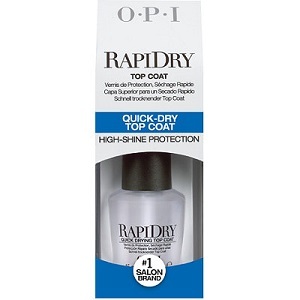 OPI RapiDry Top Coat, .50 oz. size. Dries nails quickly within minutes to a high gloss shine. Non yellowing formula.